I am here again to review and recap previous week on Stardoll. Gotta admit, the week was really exciting, with.. well, you'll see. Ready or not, here I go. The week started with the release of Museum Mile limited collection. The release was inspired by Vivienne Westwood, and it marked the beginning of a Tribute season. The collection was, of course, limited, though it did not sell out that fast. Well, except for some items. The release included an iconic Carrie wedding dress (from SATC), as well as many couture items. Surprisingly, (and luckily), it was available for everyone (well, except for some items), so I was really happy to snag some of the gorgeous items, including the previously mentioned wedding dress. Now I know those items aren't much wearable for every day, but holidays are coming, so why not treating your doll with some nice, festive clothes? There were many nice, unusual dresses, and the most noticeable, (though it did not sell that fast), was the weird fur coat that reminded me of Tarantula's legs. 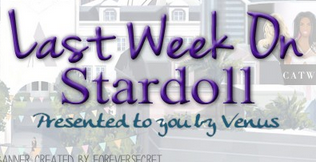 The same day, Stardoll announced their December Hot Hot Buys calendar. As previous years, this time we also got a calendar with monthly releases. This month, though, we did not get spoilers of all items, we only get them one by one the night before the release. Which is ok, as it is more exciting. So far, I wasn't a huge fan of released items, and I got only few, but like I said, we can wait and see. I am really hoping for some nicer items next week though. I would have preferred if we had 2 calendars like we had one year, one for superstars and one for 'regular' members, maybe some stardollars, or stuff like that. I wish prices were a bit lower, since it is holiday season and people probably like to spend their money on gifts and decorating in real life. No offense, but this seems like the poorest CP collection ever. The items seem like randomly chosen, there doesn't seem to be a specific theme. Even the idea is to, as the title say, mix and match, I don't see a potential in the store. But I am not complaining. Of course not, my rares are safe so far. Since before each release I get anxious that some of the items I paid much for, or could sell for much, get re-released. Also, I was kinda expecting holiday themed CP, maybe some decor (hopefully we can get CP Decor next week). Still, I might get few items, mostly starcoin ones. 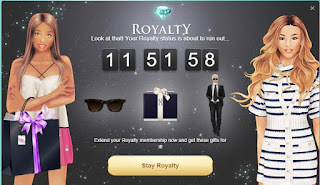 This week, Stardoll introduced new gifts for renewing our Royalty (and superstar?) membership. Ok, gifts are really nice, and a great incentive for people who were planning on renewing. But as Sofia argued, it is not fair to members who have recurring payment which renews each month. Does that mean they have to cancel it, so that they can buy regular membership, and wait for the offer to pop up? I agree that they should get the gifts since their membership is going to be renewed anyway. 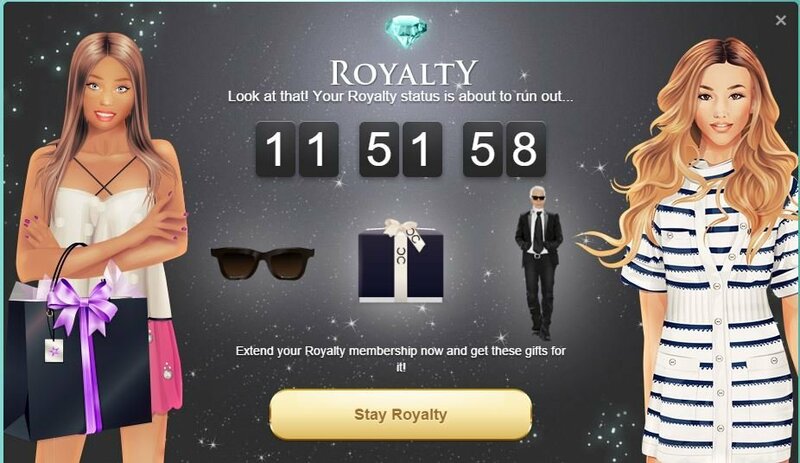 And still, no matter how gifts are nice and all, they would not make me renew my membership. I am hoping for an update, preferably in our starbazars. Still, there are things that can make me renew my membership, like immediately, such as..
New Strike-a-Pose collection! Released on Friday, and of course limited. The collection is truly fantastic! There were so many nice, posed items, perfect for Winter and upcoming holidays. We have costumes, gifts, and many interesting poses. This time, we got it in 3 different skintones, just like the previous collection, instead of generic grey and black gloves, tights and stuff covering our doll's features. I don't like that they only come in 3 skintones, but my doll's has a pretty similar skin like the lightest skinned poses. Like I said, so many nice, unique items. I was lucky to snag some of my favorites (though I had a real trouble getting stardollars for an item I missed - having to sell one of my LE pieces for a half price I paid for it). Of course, I had to renew my ss membership for that, and it was worth it. SAP is still my favorite limited store, and I love how staff comes out with so many great ideas for poses. And that is all for this week. I hope you had fun, and better save some stardollars, as the Tribute season is approaching. Until then, vote, comment, and see you next week.